- Crypto-currency is just the tip of the iceberg. 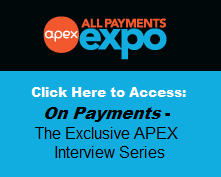 Transactions without a central operator, this opens up all types of new possibilities - a neutral protocol on this new payments rail. - Lower the friction in the marketplace to make it easier to conduct business and commerce across boarders. - The marketplace is questioning the value of interchange, opening up windows for innovators. - A currency that you can't regulate is a threat to national security and national banks. They will pivot towards a secure value interchange. - Merchants will adopt whatever consumers want to use. - Data is the new oil in the banking industry - we have hundreds of years of reserves. The nature of rewards and offers will change, using the data is a great way to monetize these transactions. 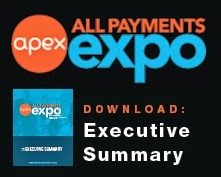 Thank you to the outstanding panel and stay tuned for more live recaps from All Payments Expo & FinTech Partnerships!